This week I had an uncomfortable experience as an educator. I made a decision to refer one of my students to an extra-help class. It was a decision I made very quickly, putting together pieces in my head about the student’s work this past semester and then dashing about to various people I needed to consult for the change to happen. It was fine so far as decisions themselves go: there was no harm in the effects of it. But I realized that I erred in jumping impulsively from thought to action without stopping to question possible alternative solutions or to question my own motivation for acting so hastily. Thankfully, I am not high up in the rankings of administrators in my school, so the checks and balances occurred in spite of my “now” mentality; yet it gave me pause when I realized my weakness for such impulsivity. As so often happens, though, there was grace for the weakness. So much so that I was blessed with a sweet moment of “needed-ness” in a way that filled my own “neediness” . . . kneading. In between classes, I heard the kids across the hall and poked my head into the open door. The teacher, in mid-sentence, beckoned me in. 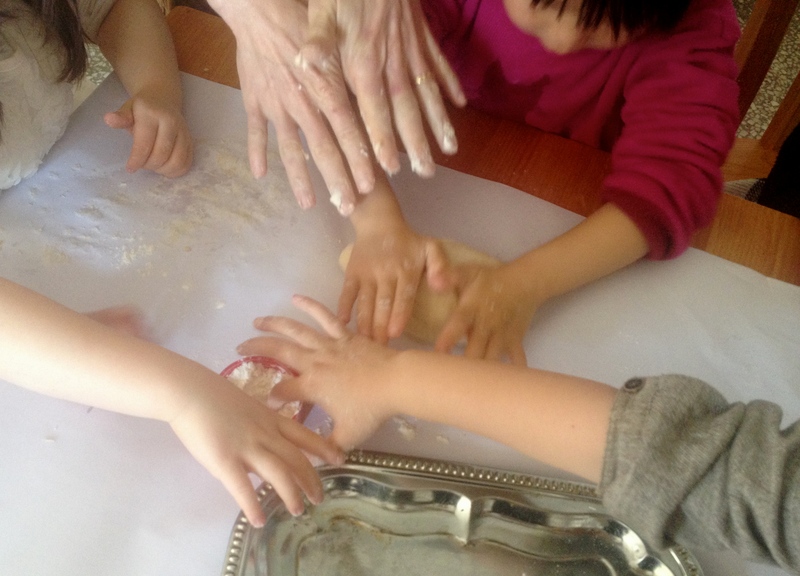 “I bet Mrs. G knows how to knead dough,” she announced to the little ones. I laughed at the truth of this suggestion, realizing that I did so multiple times per week, to keep my little household [i.e. my bread-loving husband] stocked. So I ended up helping to instruct a bunch of 6-year old pairs of hands in the art. 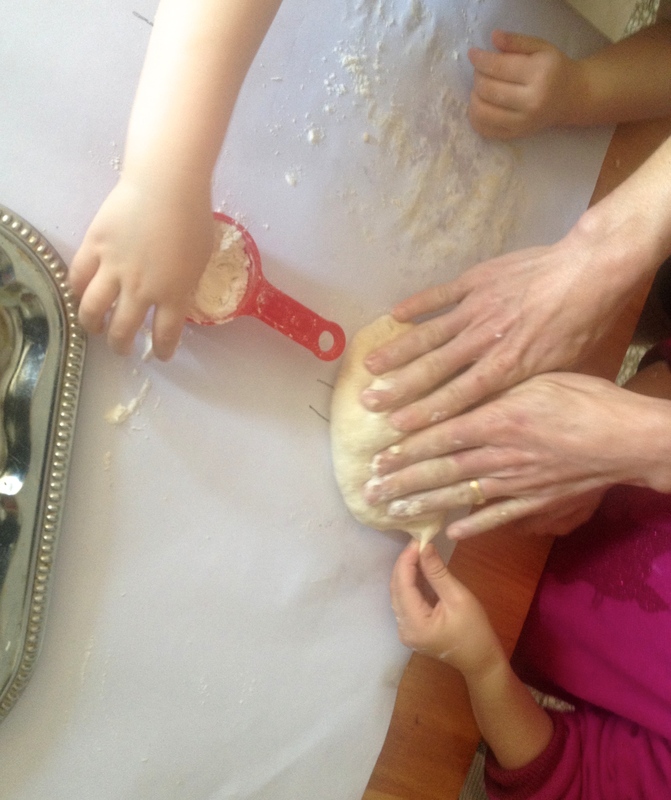 And as bread making so often does for my own mood, this communal activity did the trick of easing my educator’s angst, smoothing . . . and soothing.